Srdjan Cvijic is Senior Policy Analyst, Open Society European Policy Institute. When the European Commission released its Western Balkans Strategy a year ago, I applauded the EU for reaffirming its commitment to transforming the region. But the strategy is now threatened by bilateral disputes and skepticism about enlargement within the EU member states. To jump-start enlargement, the EU must change its procedure and allow qualified majority voting in all intermediary stages of EU accession. Under current rules, EU member states must unanimously agree to allow candidate countries to progress at each stage of accession. This means that one state can block the accession of another even if the candidate state is fully qualified. The three-decade long stand-off between Greece and what is now the Republic of North Macedonia is a case in point. The recent resolution of this dispute provides a positive impetus for the rest of the Balkans, but the list of other bilateral disputes in the region that threaten to block countries on their way to EU membership remains long. 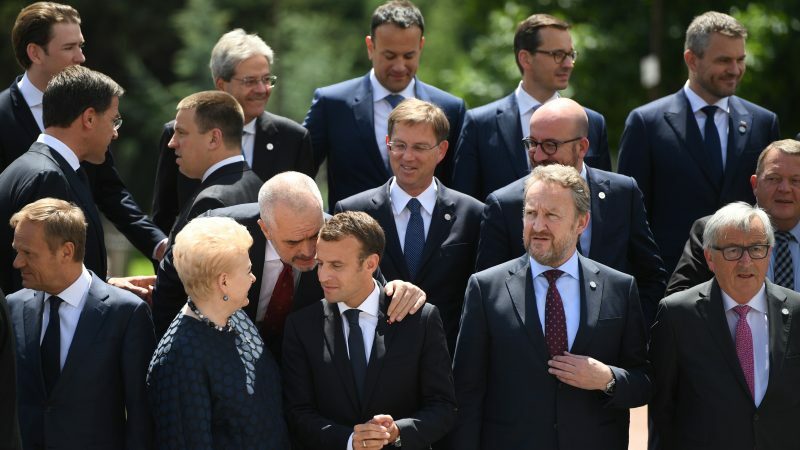 At the 2018 EU-Western Balkans Summit, EU member states reaffirmed their “unequivocal support” for the future EU membership of the Balkans. But French President Emmanuel Macron insisted that the EU should reform itself before opening its doors to new members. In a few other EU capitals, there was a lack of enthusiasm for speedy EU accession in the region. In June 2018, fearing a backlash to the idea in upcoming parliamentary elections, the EU postponed negotiations with Albania and North Macedonia for a year. The arbitrariness of the EU member states’ actions and uncertainty about its intentions has provoked a worrying rise of euroscepticism and democratic backsliding in the region. The Western Balkans Strategy did slow the negative trends. Serbia is one of the most EU-sceptical candidate countries, but popular support for EU membership rose from 41% in June 2016 to 55% in December 2018 polls. But in 2009, when the EU granted Serbia visa liberalization, 73% of Serbians wanted to see their country join the EU. The Western Balkans Strategy included provisions that make the accession process more rigorous, among them giving EU agencies a more prominent role and strengthening tools for monitoring justice reforms. The European Commission has been fine-tuning its enlargement policy since 2012 and fears amongst some member states that the European Commission would rashly allow unqualified countries to progress towards membership are not justified. Without significant strengthening of the rule of law, Balkan states will not be able to join the EU any time soon. So while the Western Balkans Strategy was a spark that helped revive the EU’s enlargement policy, to reinvigorate it following the European Parliament elections, there must be a procedural revolution. The EU must let the European Commission steer enlargement. This means going back to the pre-2009 architecture with a separate Directorate General (DG) for Enlargement and a single Commissioner who would deal only with enlargement to the six Balkans countries. The current arrangement in which a single commissioner manages a portfolio that includes the Balkans, Turkey, the six Eastern Partnership and ten Southern Neighborhood countries is untenable. The size of the job dilutes its focus and leads to the duplication of tasks with Federica Mogherini, High Representative for Foreign Affairs and Security Policy. While the new DG’s attention would be on the Balkans, the door would remain open to other countries in the future. A second reform would allow a qualified majority of the EU Council — 55% percent of member states representing at least 65% of the EU population — to approve the progress of a candidate country in all intermediary stages of EU accession, including the closing benchmarks of the negotiations. (This is the current Council voting mechanism for visa liberalization.) Individual member states would retain the right to make a final decision on future membership and national parliaments would still have the option not to ratify any Treaty of Accession. The political costs to a member of turning a country down at the end of the process when that country has fulfilled all the membership criteria would be significantly higher and would persuade them to act more responsibly. The ability of the EU to transform a country or a region is in crisis. Even traditional allies are challenging its role as a global power. Success in reforming and integrating the Western Balkans states is a litmus test for EU unity and its future role in the world. The EU retains the leverage in negotiations in the Balkans, but a successful conclusion of the enlargement process both in the countries and in the EU’s own procedures will not happen without serious reform on both sides. I cannot believe that with all the EU intelligence and « savoir faire » we have we cannot find a way to Qualified voting and Taxing USA digital (FANGS) operation in Europe !